The other day I finished reading The Professor (White Crescent Press, 1980), Simon Houfe’s affectionate biography of his grandfather, the architect Sir Albert Edward Richardson. 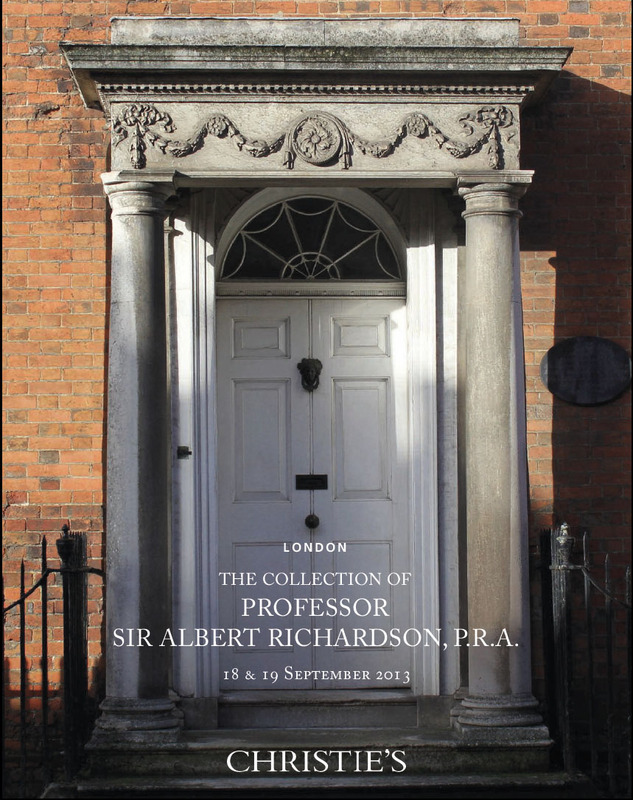 I’ve been intrigued by Richardson for a while: he often has a passing mention in memoirs and letters produced between the wars although, in spite of an architectural career which lasted from the late 1890s to the early 1960s, his country house output was small. He enlarged or remodelled one or two minor houses – The Hale, near Wendor (1918) and Chevithorne Barton in Devon (1930) are good examples – but the practice he carried on, with C. Lovett Gill until 1939 and from 1945 with his son-in-law, E. A. S. Houfe, focused mainly on commercial premises, usually designed in a light, elegant neo-Georgian style. And not content with promoting the past, Richardson lived in it. 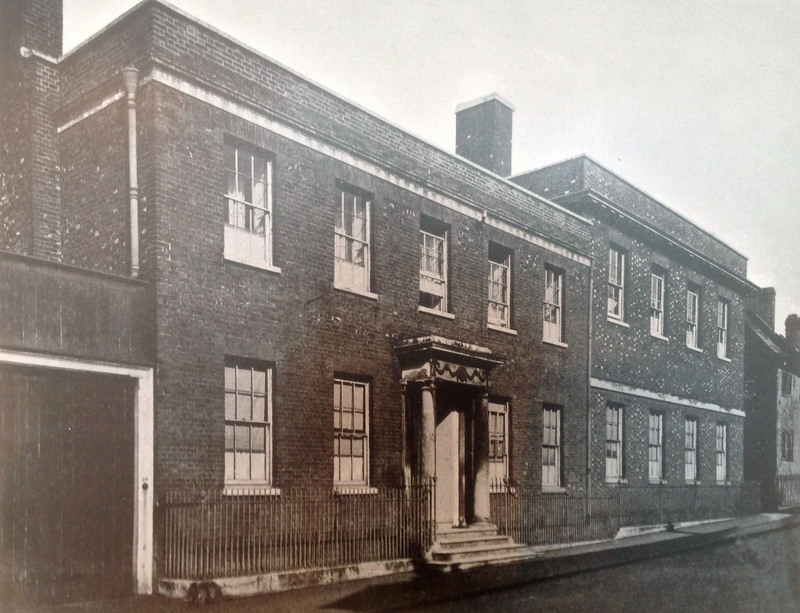 In 1919 he bought Avenue House in Ampthill, built for a Bedfordshire brewer in 1780 and extended by Henry Holland in 1792-5. 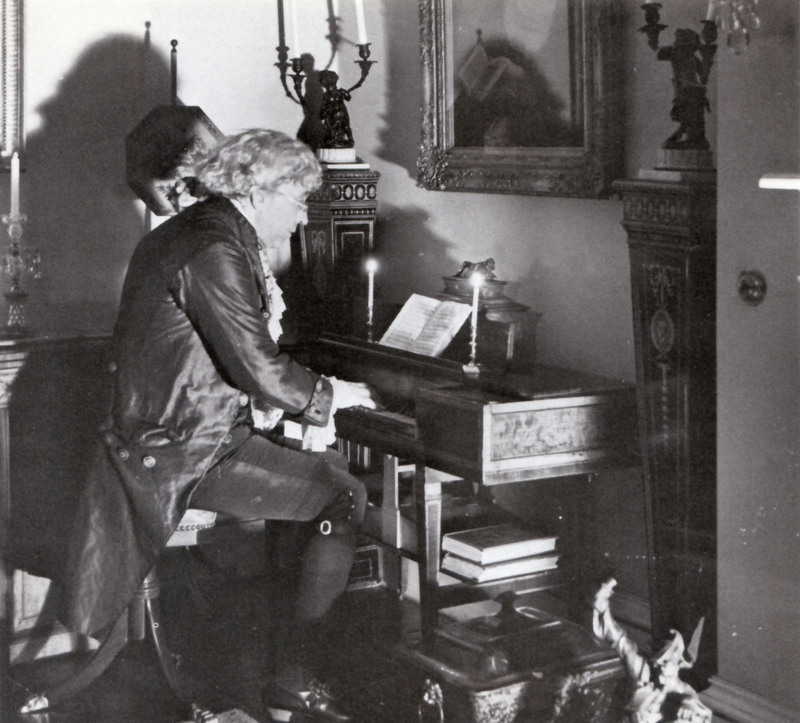 Over the next four decades or so the architect filled Avenue House with art and oddities: oils by Philip Mercier and Angelica Kauffmann, exquisite George III furniture in tulipwood and satinwood; a lamp said to belong to the Lady of the Lamp herself, Florence Nightingale; Clive of India’s door knob and a battered baluster from Doctor Johnson’s house. He refused to have electricity installed, and was fond of dressing up in full Georgian costume around the house. In many ways Richardson was a difficult character – bombastic, self-centred, a reactionary conservative who hated Modernism as much as he loathed modern society. Imagine an architectural G. K. Chesterton, and you have him. But his contribution to the evolving preservationist movement of the 1920s and 1930s was profound. By a strange coincidence, just as I reached the last page of The Professor, an email came through from Christie’s announcing the sale of the contents of Avenue House. The place had remained more or less intact since Richardson’s death in 1964, and after years of searching for a way of preserving it for posterity, the family has given up the struggle. The Avenue House sale took place this week. It isn’t a disastrous Mentmore-type dispersal to be remembered and mourned for decades. It is more of a small sadness. But it is a sadness, none the less. Something has been lost, and we’re all a little poorer for it. For anyone who had the privilege, as I did, of seeing the collection in situ at Avenue House, it will ever be one of the most memorable visits: the personality of Richardson seemed to live on through his collection. Almost every object had an associated story about how it had been acquired, or what its history had been. And where no such story existed, Richardson was happy to invent one, as in the delightful “Story of an old box” told in Simon Houfe’s biography, which Richardson wrote and just left inside an old trunk, to be found after his death. I feel more fin de siecle about the dispersal of the Avenue House collection than any other sale for many many years, and it is very sad that the magical experience of visiting the collection at Avenue House will be no more.. Thanks for that, Nick. I envy you! I presume the next step will be for Avenue House itself to be sold. A great shame. I recently read about him too. He liked to travel in a sedan chair (who wouldn’t?). If it was on offer, I envy the person who cast the winning bid at the auction. I just know my life would turn out different if I had a tiara and sedan chair. Sigh. Time you visited Bath again, Rachel. We’ll see what we can do about the tiara and the sedan chair. I would love to know if this man is related to me distantly and why he chose the House in Ampthill apart from the style of the building… reason being the Richardson name comes from Bedfordshire and surrounding villages in particular Ampthill it could be a coincidence but possibility..I love the regency style Neo Classical and Baroque style..Bath is Beautiful and I have a taste for Architecture such as this..Would have been a wonderland in his house in Church St.